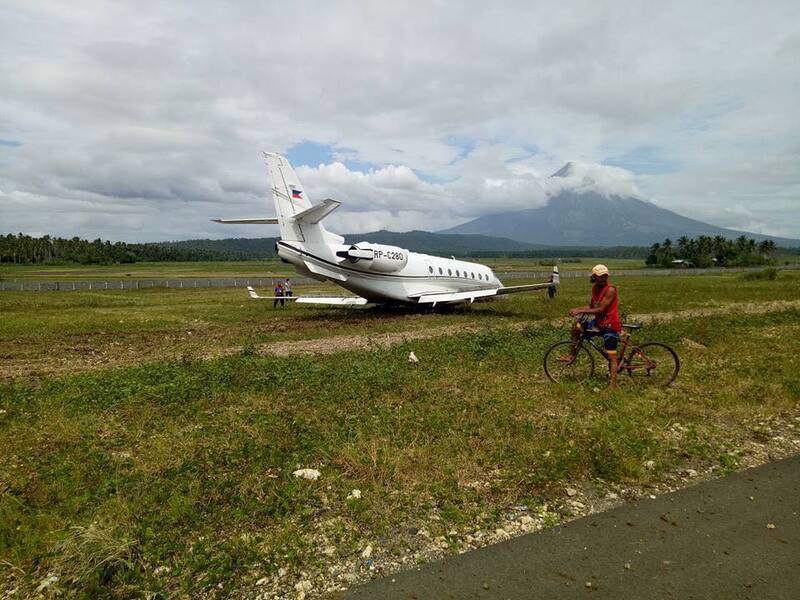 DARAGA,ALBAY (Jan 10) – A private plane carrying 5 passengers including the pilot veered off the runway while on an emergency landing at the still under construction Bicol International Airport in Brgy. Alobo, on Wednesday. 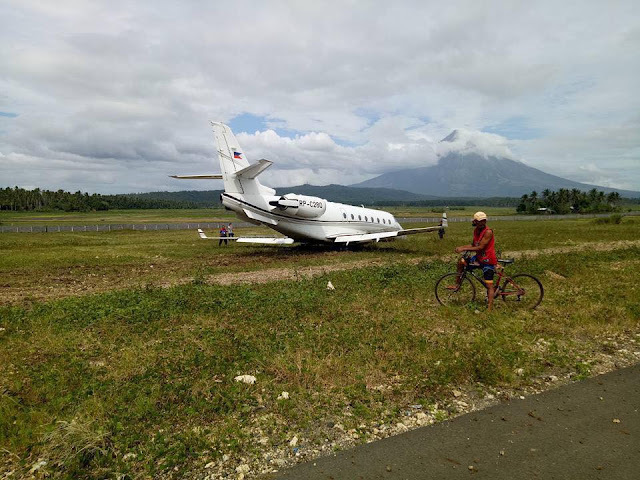 In an interview of DZGB News with Daraga Municipal Police Station Chief of Police P/SUPT ELCID ROLDAN , initial investigation disclosed that the incident happened at around 11:30AM due to strong winds and overshoot the runway. He said that all passenger were accounted for and safe.